This is one of my favorite cards. 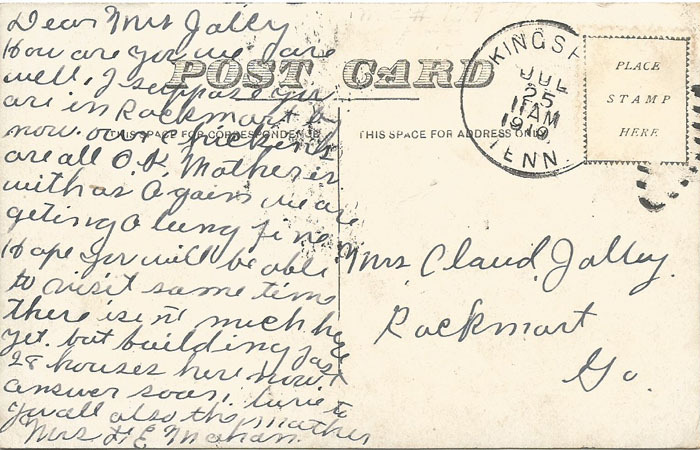 It was mailed in Kingsport, probably at the Big Store, July 25, 1910. 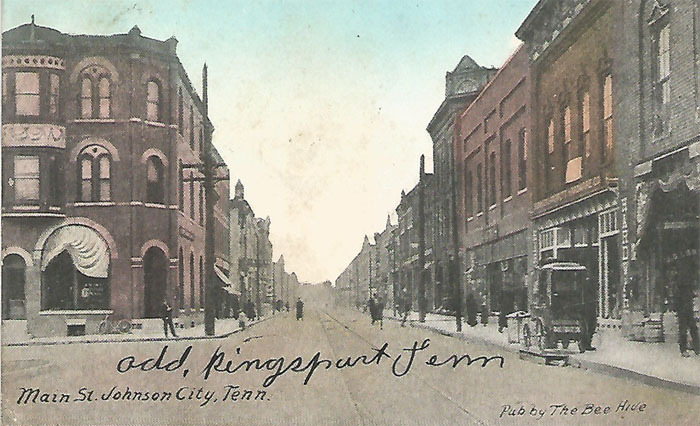 This entry was posted in Bob's photos, Kingsport TN ephemera and tagged Johnson City, Kingsport TN, Rockmart GA, The Bee Hive, The Big Store on October 8, 2014 by Bob Lawrence.